Bill is a committed personal injury trial lawyer with a reputation for excellence both statewide and at the national level for 25 years. Bill is the only Nevada member of the prestigious “Inner Circle of Advocates,” an exclusive group limited to 100 of the premier personal injury trial lawyers in the United States. He is also recognized in the most current edition of The Best Lawyers in America for his experience and success in personal injury law. Bill does not limit his activities to advocacy in the trial courts. He has been extremely active in the Nevada Legislature for over 20 years as an advocate for the victims of defective products, medical malpractice and other personal injuries as the lead lobbyist for the Nevada Trial Lawyers Association. Bill is largely responsible for preservation of the legal rights of injury victims in Nevada, despite numerous attempts by the insurance and medical community to restrict those rights over the past two decades. He has been involved in legislative battles involving unreasonable caps on damages of victims of defective products and medical malpractice, anti-consumer litigation, HMO legislation, and numerous other issues that affect consumers in the Nevada Legislature. Bill is a past-president of the Nevada Trial Lawyers Association and has served on numerous committees and boards for the statewide legal community as well as the general Reno community. His volunteer efforts include service for 10 years as a Commissioner for the Nevada Division of Wildlife, a position to which he was appointed by the Governor of Nevada. 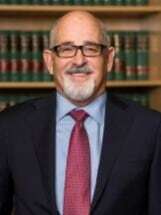 Bill is a native resident of Nevada and a graduate of Stanford University and McGeorge Pacific School of Law.